Imagine what it would be like to just be able to understand Malay and to be able to speak back and be understood yourself. Imagine how different your life would be if you had full freedom of the Malay language. This doesn't have to be just a fantasy forever - you can gain an advantage with this album towards your efforts to learn Malay and begin to take it in much more naturally - and at a faster rate. This album works in a subtle but powerful way. It won't teach you Malay all by itself. It is essential that you still attend classes, study, and practice your Malay whenever you can - there is no such thing as completely effortless / overnight learning. The way this album works is simple really - it stimulates your mind to boost your potential to learn; to make you think and process information more efficiently and naturally. You probably know someone for example who just seems able to naturally able to pickup a new language, they absorb it, and learn really quickly; it isn't a struggle for them at all. Give you a solid belief in yourself; that you are fully capable of learning the Malay language. This simple belief is a corner stone to your learning - once you really believe it and can visualize yourself speaking Malay then your learning will really accelerate and feel much more natural. Help you to really understand language based information more efficiently - concepts which once seemed difficult to you will just start to click - you will learn new "rules" and language structure first time round and they will make more sense to you. Help to enhance your reading skills - reading can be difficult in Malay, but with this album you will find it more natural and learn at a faster rate. Increase all of the skills required to speak Malay- you will learn to speak faster, remember oral information better, and your pronunciation will improve. Finally this album will really motivate you, stop you procrastinating, and instill within you a real burning desire to learn more than ever before. Nothing will hold you back and you will be completely committed to learning Malay. 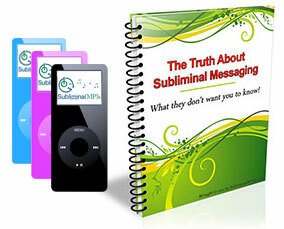 Just like traditional hypnosis, subliminal messaging is a longer term process, you will see some early results, but the big changes will come after a few weeks of listening. Within a few days of using the album you will notice your ability to take in new information and your retention rate increase, and as you continue to use the album over a duration of 2-4 weeks you will really see a massive difference in your Malay speaking, reading, and writing. Download this album now and gain a massive advantage; learn Malay like the "naturals" and gain access to a whole world of new opportunities and cultural experiences.